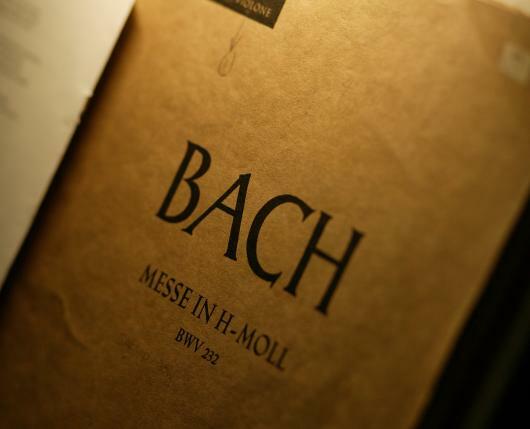 The oldest American Bach Choir, The Bach Choir of Bethlehem gave the first complete American performances of Bach’s Mass in B Minor in 1900 and Christmas Oratorio in 1901. 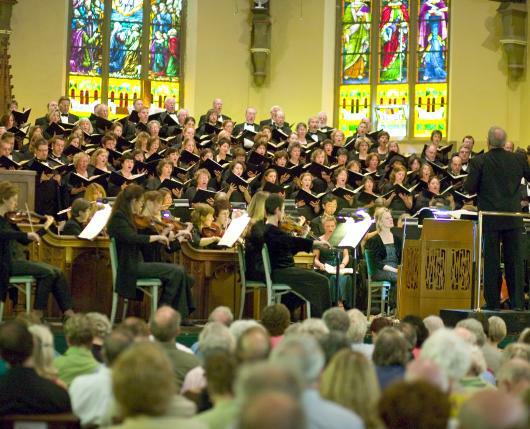 Founded in 1898, the Bach Choir of Bethlehem attracts thousands of national and international visitors annually to its annual performances. The Choir performs the works of Johann Sebastian Bach, and also works by composers who influenced Bach or were influenced by him. 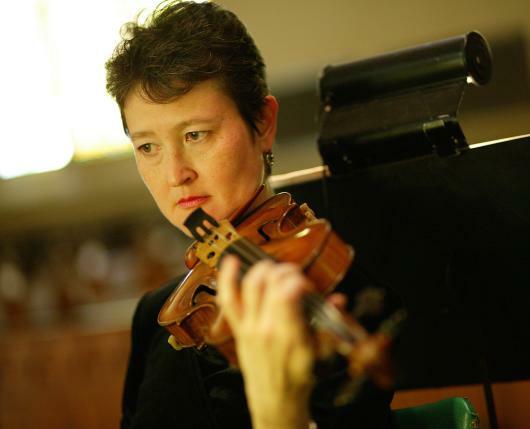 Recent concerts included works by Beethoven, Brahms, Britten, Bernstein, Mendelssohn, and Vivaldi. 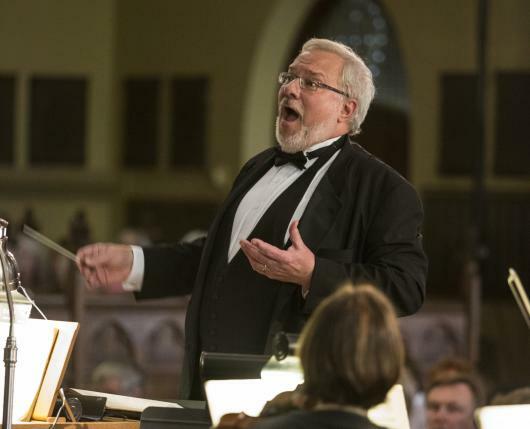 Under Greg Funfgeld’s passionate direction, today’s performances feature a finely-honed vocal ensemble of nearly 100 volunteer singers, a professional orchestra, and world-renowned soloists. 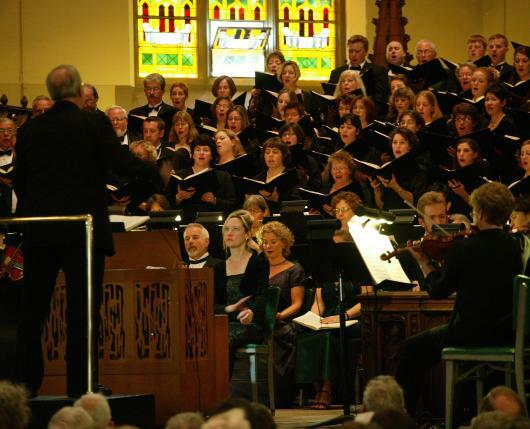 The repertoire includes 133 cantatas, all of the motets and 15 of Bach’s larger works. The Choir presents 32 concerts a year for more than 20,000 people and has been recognized for its outstanding educational outreach programs (Bach at Noon, Bach to School and Family Concerts) by Chorus America (2012 finalist), the National Endowment for the Arts (2011 and 2012 grant awards), and the J.S. Bach Foundation, Switzerland (2012). 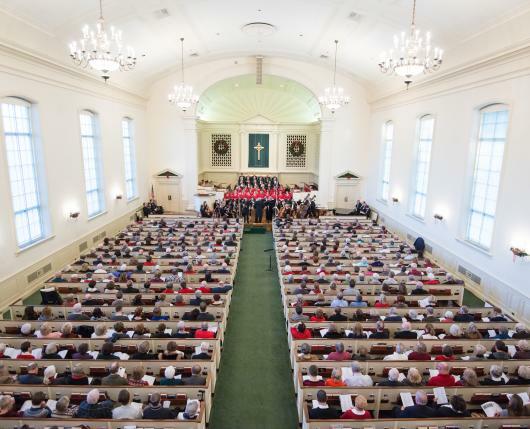 The Choir has received critical acclaim for performances at the Thomaskirche in Leipzig, the Herkulessaal at Munich’s Royal Residence, The Kennedy Center in Washington and Carnegie Hall in New York. The Choir toured the United Kingdom in July 2003, including a performance for the prestigious BBC Proms in London’s Royal Albert Hall. In 2011, The Choir sang in Saint Paul’s chapel and Trinity Church Wall Street for a 10th anniversary commemoration of 9/11 in New York City. The Choir has been featured on National Public Radio’s Performance Today and Prairie Home Companion, Deutsche Radio, the BBC World Service, CBS Sunday Morning and the Emmy award-winning PBS 39 documentary on The Choir, Make a Joyful Noise.